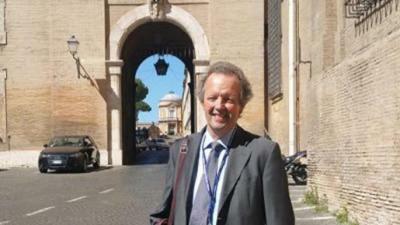 ROME – A judge at the Rome labour Tribunal has rejected an unfair dismissal claim by veteran Irish Times Rome Correspondent Paddy Agnew after the newspaper claimed he was “only a freelancer,” despite writing for them for 31 years. Agnew entered legal proceedings against the Irish paper after his employment was acrimoniously terminated without warning in 2017. The paper since claimed that Agnew was never, in fact, its Rome Correspondent, but rather a “freelancer,” and therefore isn’t entitled to redundancy payments or financial compensation. “It has to be excluded that the professional role of the plaintiff [Agnew] was that of Rome Correspondent, primarily because of his non-enrolment in the register of professional journalists,” the judge overseeing the case ruled, upholding the Irish Times’ claims and awarding them 7,250 euros in damages. In addition, the judge ruled that emails between Agnew and various Irish Times news desks did not constitute “instructions or orders,” but instead were an “exchange of ideas” initiated by the reporter, underlining the argument that Agnew wasn’t under any instruction from the paper. “It is a sad day for journalism when the Irish Times instructs its lawyers to invent this load of nonsense in a court of law,” he added. Agnew has reassured his various supporters, many of whom still write for his former employer, that his lawyers believe there are solid grounds on which to appeal the ruling. Agnew’s stories regularly appeared on page 12 of the Irish Times for 30 years, while over 200 of his articles were put on the front page of the paper. He was also listed on its website as ‘Rome Correspondent’ for years. He has covered everything from the 2006 World Cup to G8 Summits in Italy, the Amatrice earthquake and numerous Papal developments since he began to write for the Irish Times in 1986.